Tailoring 2.0 projects for different social outcomes. I don’t normally like the word ‘culture’ that much, but here I use it very loosely to refer pretty much to everything in a 2.0 implementation that needs to change that isn’t technology! So in the ‘Creating Social Cultures’ session, in particular, I’d be talking about how organisations can gain the sorts of benefits they’re looking for, and support technology based projects, through changes in people, behaviour and ‘culture’ (to use the title of the session we ran in Santa Clara). And I don’t want to say much more about this session than that – particularly because I’d be running this with Bert Sandie from EA Technologies and Dan Pontefract from TELUS, and we’d still need to have a more detailed conversation about what we’re going to talk about when and if we get our submission voted through to the conference! But I think we’ve all got a similar perspective on 2.0 linked culture change, and good experiences to share as well, so I’m sure it’d be a great session. One of my worries about 2.0 is that there often seems to be a lack of focus on clear benefits – a rationale for doing something. To some extent, this is down to an understandable and appropriate desire to take advantage of emergence – but I don’t think simply implementing technology and hoping some random benefits are going to emerge are going to be enough. For me, the main benefits of 2.0 relate to culture. Yes, there are a range of other potential benefits as well, including more proactive customer service, knowledge sharing, employee engagement etc. But culture is typically what makes these other benefits achievable as well. And we’re not just talking about any type of culture – we’re talking about ‘social cultures’: cultures which emphasise the importance of social relationships. Take innovation as an example. An innovative culture doesn’t have to be social – by emphasising the role of individual vs team-based brainstorming for example. 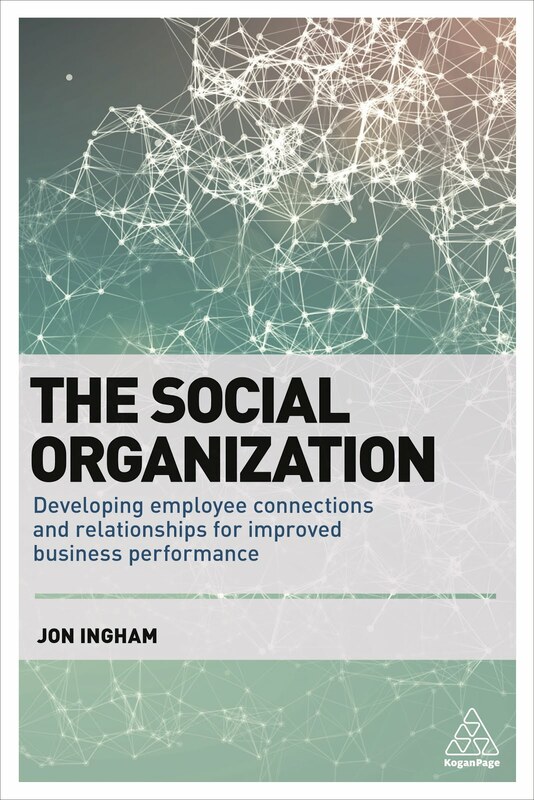 Or it could emphasise the need for people to connect with others across and outside of the organisation and to share their different experiences and perspectives – a deeply social approach. It’s this second type of culture that enterprise 2.0 supports. And actually, the same is true within HR, OD and other fields more focused on culture change as well. 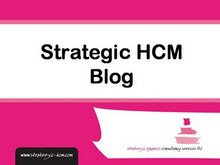 As I said in my earlier session on this, with Margaret Schweer in Santa Clara, it’s a point HR guru Dave Ulrich often makes about this profession: that to be strategic, and to maximise impact, HR needs to focus on outcomes, not activities (or technologies). So instead of asking “how do we change the culture to support 2.0 adoption” (which seems to be the focus of a couple of submissions for the conference) we should be asking “what sort of culture do we need to develop and how can this best be supported?” I think the second question is a very different one to the first, and this leads to a set of very different actions – combining and integrating 2.0 technology with HR, OD, communication, leadership, workplace design and other areas too. And in which all of these are working together to achieve a cultural outcome, not just supporting technological implementation. And apologies to Peter Kim and Barry Libert, but in my view, it’s only by doing this that we really get to create a truly social business / ‘social nation’. This submission focuses on the impact of combining the last two. Yes, it’s important to understand what you need to do to create a social culture, and most of what you need to do is going to be largely the same from organisation to organisation, culture to culture. But the really important actions, and the ones which most organisations get wrong, are those which are focused on developing the culture a particular organisation needs. Each of these need a different set of cultual actions if they are going to be implemented successfully. This need to tailor approaches is seen in the 2.0 technology area as well. And it’s interesting to see that Rawn Shah has submitted a proposal suggesting that an organisation’s approach to measurement also be tailored to that organisation’s situation (and I’d suggest culture / social outcomes). But I think this need to tailor is much bigger than that too. So in this session, I’d explore each of the different cultural types and talk about the different HR, OD, communication, leadership, workplace design and technology related actions that are needed within each of these different types. So I was originally hoping we might be able to develop Santa Clara’s session on culture into a whole track at Boston (a suggestion tweeted by Dan). I guess this is unlikely because there have actually been (what is to me) surprising few other submissions on culture. But there 43 submissions on leadership and organisational change. I don’t personally see this as important as culture – or a focus on social outcomes. Leadership and effective change without the right focus, eg with one on the technology, still isn’t going to take organisations where it is possible to go. Thanks to Bill for putting the list together.